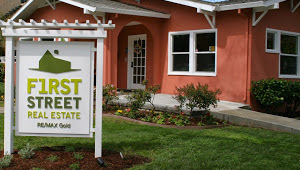 First Street Real Estate is a group of independent professionals that believes in guiding you to the best experience possible when buying and selling homes. We will work hard to create a smooth and pleasant experience during this important time of transition. We go the extra mile to deliver the latest Davis market data so that you can make informed decisions when buying or selling a home. Plus, you’ll find neighborhood information and community updates throughout our website and blog! With a charming, historic downtown surrounded by friendly neighborhoods and miles of rural splendor, Davis, CA offers the best in town and country living! Whether you are drawn to Davis for the educational opportunities at the University of California - Davis or the incredible K-12 school system (a reason a lot of people relocate to Davis), or you are an outdoor enthusiast attracted by our miles of bicycle trails, you’ll find plenty of reasons to call Davis, CA home!